"400 years after Galileo, alignments are in the news again"
January is the month of resolutions and fresh starts. At the Killarney Economic Conference, Democratic Unionists' leader Arlene Foster said all the right things. She talked about how Brexit is not about cutting off Northern Ireland from neighbours or pulling up the drawbridge or building a wall around Northern Ireland. Words matter in politics and the conciliatory tone of her speech was almost universally acknowledged and applauded. But deeds matter more than words, and in politics expediency always trumps promises and expressions of goodwill. In her speech, Foster also likened Northern Ireland and the Republic of Ireland to "semi-detached houses" that look the same on the outside but are very different inside. This analogy is ingenious but essentially troubling, reflecting the enduring lack of clarity of the DUP on the border issue. Semi-detached houses have a fence, or a wall, separating the garden, and there is strict legislation regulating the fence in question: the boundary, height, material, maintenance etc. The old adage that good fences make good friends is an urban myth. The bitter truth is that litigation between neighbours over fences is as common as the resolution of a new diet on the first day of January. Perhaps the DUP needs to reconsider its architectural analogy? Yes to semi-detached houses, but with a shared garden; no fences or walls, just common land. January is also an important month for alignments. 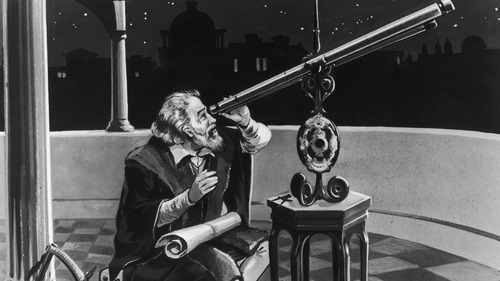 On January 7 1610, Galileo Galilei first viewed Jupiter through his telescope. He was puzzled by what appeared to be three bright stars arranged in a perfect line on either side of the planet. Over the next few nights, Galileo went back to check on his observations and eventually came to the realisation that these points of light were not stars, as he initially assumed, but planets. The sighting of new worlds was itself astonishing, but the truly epic and world-changing scientific breakthrough was the discovery that Jupiter, like our own planet, also had moons orbiting around it. And if Jupiter could move across the cosmos and take its moons with it, perhaps the same could be true of the Earth. From there, it was a short step to the acceptance of the heliocentric model of the universe, first proposed by Nicolaus Copernicus, and the refutation of the Aristotelian inspired dogma concerning the Earth-centred Ptolemaic universe. The influence of Galileo on 17th century natural philosophy can scarcely be overstated. Galileo is one of the most influential thinkers of the modern world and it's all thanks to an alignment. His scientific findings would ultimately usher in a revolution in astronomy and philosophy, but not during his lifetime. The response of the Catholic Church to Galileo’s pioneering scientific discovery, made possible by the detection of an alignment of moons around Jupiter, was a predictable mix of unenlightened intolerance and recalcitrant ignorance. The pope was not impressed. Galileo was interrogated by 10 cardinal-inquisitors and sentenced to prison and religious penances. In fear of his life and imminent torture, Galileo abjured his errors and lived under house arrest until his death in 1642. In 1983, the church eventually accepted that Galileo might have been right after all. 400 years after Galileo, alignments are in the news again. This time, it is not the movement of celestial bodies that are the subject of investigation and introspection, but the movement of human bodies and commercial goods between the Republic of Ireland and Northern Ireland. In the lingo of Brexit negotiations, we are talking about a "regulatory alignment". The actions of religious authorities at the time of Galileo were typified by a paralysing fear of progress in any form. The same could be said for the response last December of Arlene Foster to the mere suggestion that there should be regulatory alignment between Northern Ireland and the EU post Brexit. Galileo’s fate rested in the hands of 10 cardinal-inquisitors - and the future of a post-Brexit regulatory alignment rests on the decision of 10 DUP MPs. Same difference, theological discrepancy notwithstanding. As with Galileo, we could wait 350 years before the DUP accepts that regulatory alignment is the best way forward. Alternatively, common sense might be the quicker solution. The EU is the biggest economy in the world, the Jupiter of modern global capitalism. To be aligned with the EU may not be a scientific fact, but it makes economic and political sense to Ireland, Northern Ireland and the UK. For Brexiteers to wish away this regulatory alignment is to side for the sake of dogmatic nostalgia with the irrational and the unempirical. Just like Galileo’s inquisitors. 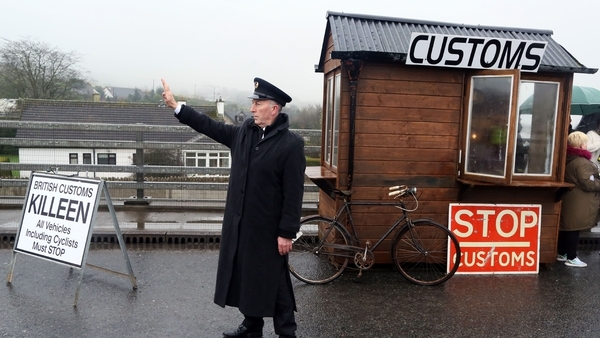 For all its imperfections and limitations, the 1998 Good Friday Agreement ended three decades of violence. The Good Friday Agreement is also proof that the Republic of Ireland and Northern Ireland can be good neighbours, living peacefully in semi-detached houses, but strictly without garden fences.